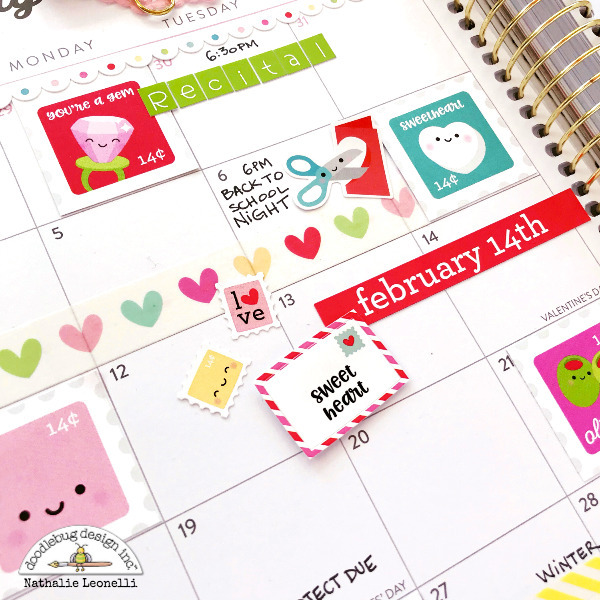 With February being the month of love and Valentine's Day, I decided to decorate my monthly planner page with the So Punny collection and I love the result! 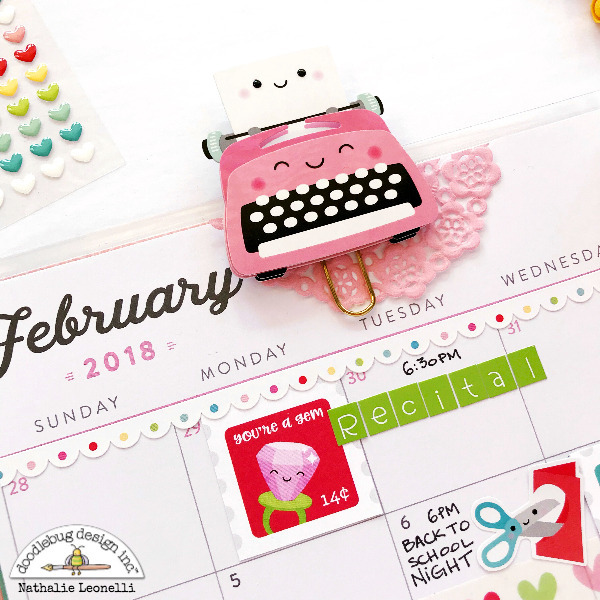 It is so easy to pretty up any planner with die-cuts, patterned papers, stickers, doilies and washi tapes from Doodlebug Design! I first cut apart the square stamps from the "Work of Heart" patterned paper and adhered them here and there in the boxes I was not using. To continue with the mail theme, I added the most precious letter and stamp stickers from the Icons sticker sheet. 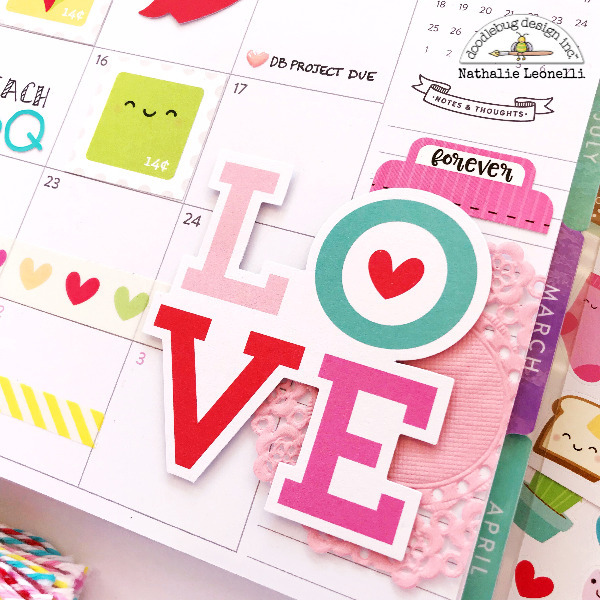 A few strips of "My Love" washi tape bring all the colors together. I also added more stickers, this time from the This & That 12x12 sheet using foam dots under some of them to add dimension. Anytime I go back to this page, I can't help but smile. "So Punny" is really a fun and versatile collection. 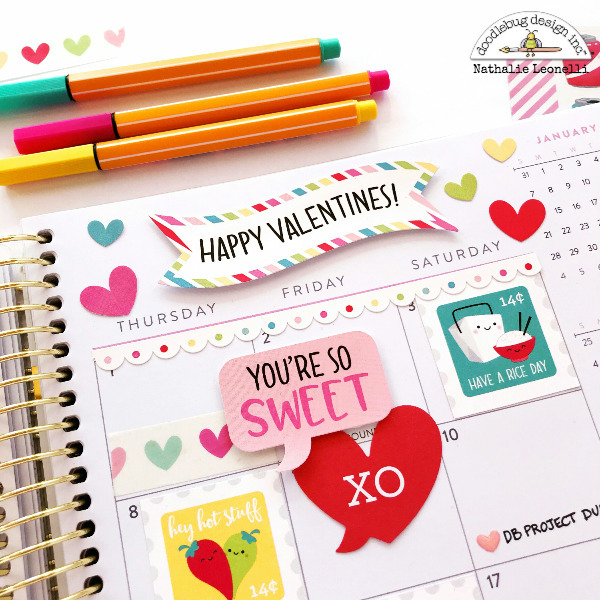 I am thinking about making a few last minute Valentine's cards with it but today, I hope to have inspired you to use it into your favorite planner(s)! If you have any questions for me, leave them in the comments or reach out to me on Instagram. Until next time, happy crafting! Such a pretty planner spread!! LOVE that typewriter clip! !